RERA Easy helps you in most of compliance required even after RERA Certificate is attained including Quaterly Updation, Scrutiny Assistance. RERA Easy is one stop solutions, which provides the RERA Consultancy that includes the Quarterly Update, Scrutiny Assistance etc. RERA Easy provides one of the best platforms for carrying your quarterly updating of the Real Estate Project, headed by our RERA CONSULTANTS MUMBAI team. We take care of the project quarterly updating along with Project Registration. 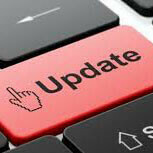 While Quarterly Update we even take care of Form 1, Form 2 and Form 3 certifications. In the Simplest manner, you can get the RERA Quarterly updations in Mumbai, Navi Mumbai, Thane, Pune and Khapoli.We Welcome you to our platform and get the details of RERA (Real Estate Regulatory Authority) in India.